The Word of the Year for 2018 in Flanders is moordstrookje. The word was chosen in publisher Van Dale’s annual public vote. Ever year the publisher of Dutch-language dictionaries and books on grammar and spelling holds the Word of the Year contest. Members of the public can send the publisher words all year long that they think should be considered as a nominee. Van Dale whittled the list down to 18 nominations, which it published last month. The public then voted on their favourite. The nominated words are all neologisms – words that have recently entered the language and are becoming common – or older words that have suddenly come back into fashion. Moordstrookje – literally ‘murder lane’ – refers to a bicycle lane that runs right alongside a busy street of traffic. This is the case with most bicycle lanes in urban areas. As Brussels and Antwerp continue to make the top of the lists of Europe’s most-polluted cities and as citizens become more and more aware of the effects of climate change, discussions about mobility have begun to dominate policymaking and headlines. Regions are under pressure to improve cycling infrastructure to keep up with demand. At the same time, reports have consistently shown that people are concerned about cycling safety: Fewer parents want their kids to cycle to school, cyclists post photos and videos of paths gone terribly wrong, cyclists are unhappy about the quality of infrastructure and – most recently – fatal accidents involving cyclists are up. 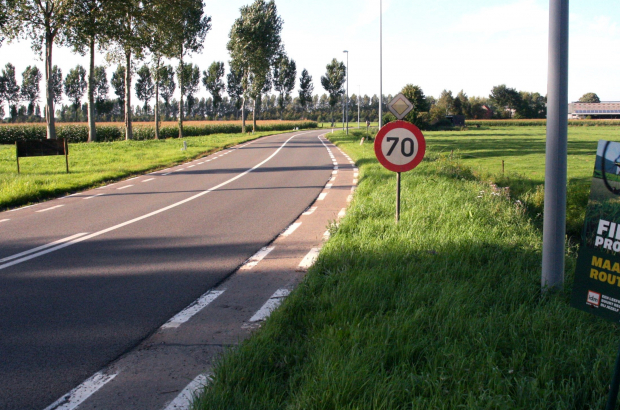 When news broke that 35 cyclists were involved in fatal accidents in Flanders this year, Groen politician Björn Rzoska – an avid cyclist – took to parliament to lament the situation, calling cycle paths moordstrookjes. He was criticised by colleagues for using a term that means people were killed on purpose and apologised for it. But it was too late; the public latched onto the dramatic word, which is now part of the Flemish lexicon. The second most-popular nominated word was mangomoment, which entered the public’s consciousness in 2015 on the VRT programme Via Annemie. The human interest programme was covering experiences of people who were terminally or seriously ill, and when the host, Annemie Struyf, shared a mango with a patient who became emotional at such a small kindness, the word went down in history in Flanders. Taken to mean the little things that make life bearable for such patients, mangomoment was even registered as a trademark by KU Leuven, which launched a whole study into the phenomenon. Cyclists usually aren't fat enough to eat at Burger King.